The footprint proportions of this home, make the design suitable for grouped developments (ie. triplex, house-behind-house). 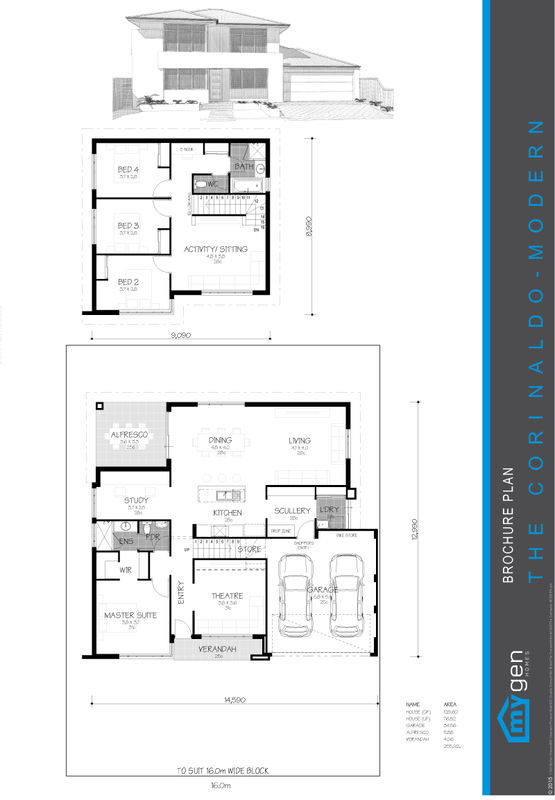 Carefully designed to reduce structural demand, and inappropriate expense, The Corinaldo is a superb 4 bedroom, 2 bathroom masterpiece with a verandah, theatre, activity/sitting and a large scullery conveniently located by a drop zone immediately next to shoppers entry to pack away groceries. A practical home with minimal fuss.